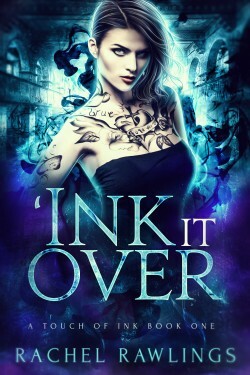 Tattoo artist by day and warding witch by night, Adeline uses magical inks, a tattoo machine, and the help of her best friend Lars to permanently imbue spells of protection onto her clients. Thanks to the Magistrate’s greed and failure to protect its citizens, her services were in high demand. But when Nicholas Marks walks through the door of her tattoo studio looking for an appointment, one of Adeline’s wards isn’t the only thing he’s after. Forced into working for the Magistrate, he’s been tasked with bringing her in. With her cover story blown, Adeline has two choices: Run as far and as fast as she can, or stay and fight. Though she’s not ready to give up the only life she’s ever known, putting her trust in a traitor may end up being the worst decision she’s ever made.